National Food Day inspires Americans to change their diets and our food policies. Every October 24, thousands of events all around the country bring Americans together to celebrate and enjoy real food and to push for improved food policies. With Food Day, we can celebrate our food system when it works and fix it when it’s broken. Across the country, more than 8,000 events took place in 2015, from community festivals in Denver, Savannah, and New York City, to a panel discussion on food justice in Washington, DC, to thousands of school activities in Portland, Minneapolis, and elsewhere. Hundreds of events are being planned on and around October 24, 2016. The most important ingredient in Food Day is you! Use October 24 to start—or celebrate—eating a healthier diet and putting your family’s diet on track. Food Day is not just a day; it’s a year-long catalyst for healthier diets and a better food system. Let’s use this energy to make a meaningful and long-lasting difference! 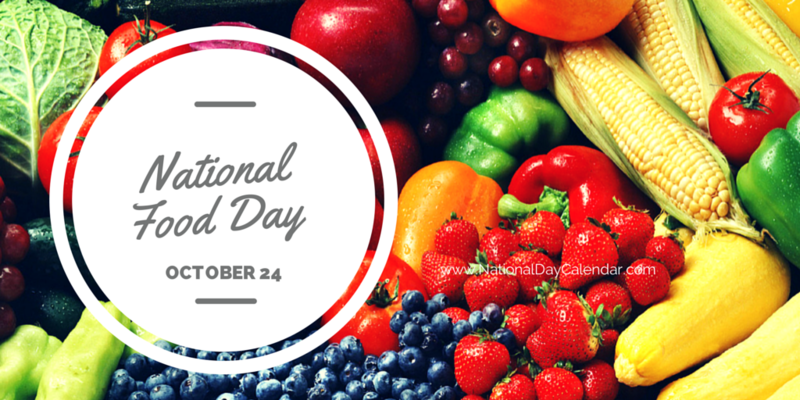 Use #NationalFoodDay to promote your activities today!